Jared Drake Bell (born June 27, 1986), better known as Drake Bell, is an American actor, comedian, guitarist, singer/songwriter, producer, and occasional television director. Bell is commonly associated with his real-life best friend Josh Peck, who co-starred with him in both The Amanda Show, with Amanda Bynes, and Drake & Josh. After beginning his career as a child star in the late 1990s and early 2000s, he appeared on The Amanda Show and became well-known among young audiences for his role on the series Drake & Josh. 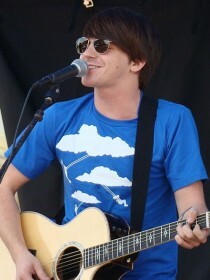 As of 2010, Drake Bell remains one of Nickelodeon's most popular stars ever and has won nine Nickelodeon Kid's Choice Awards. His latest role will be live-action Timmy Turner in the upcoming TV film A Fairly Odd Movie: Grow Up, Timmy Turner! based on the cartoon Fairly Oddparents. In addition to his acting, Bell has a growing career as a musician, and co-wrote and performed the theme song to Drake & Josh, entitled "Found a Way". In 2005 he independently released his debut album, Telegraph. His second album, It's Only Time, was released in 2006 after signing with Universal Motown.